Not a day goes by when David is not asked one or both of these two questions: 1) “In a world of major record labels, how is it that Reviver Records is still here after you started the label in 2011?” and 2) “How is Reviver in the Top 15 with charted records amongst all record labels?” The truth is, many record labels are never able to crack the charts, but with David’s guidance, the Reviver staff has been instrumental in pushing Country music stars LOCASH to phenomenal success with two No. 1 chart-toppers to date (“I Love This Life” and “I Know Somebody” went to the top of the Billboard and Country AirCheck charts). In addition, David has also beefed up the label’s roster with the signings of up-and-coming recording stars Michael Tyler (who has written hit songs for superstars Dierks Bentley and Jason Aldean), Blackjack Billy, Kayla Adams, and the legendary Little Anthony, whose recently published autobiography, My Journey, My Destiny, was spearheaded by David. More recently, he oversaw a joint venture between Reviver Records and Kenny Chesney’s Blue Chair label for the new David Lee Murphy/Kenny Chesney record. Honing his craft beginning at the age of five at the feet of a master, his father, London Records head of Promotion and Marketing Moe Shulman, David was introduced to the Rolling Stones when the band came over from London, England, on their first visit the United States. David’s professional career began at the age of 17 as an intern at New York’s Alpha Distributors, one the most recognized and profitable independent record distributor in the New York/New Jersey/Pennsylvania/New England area. At Alpha, David represented various labels, including A&M, Motown, Arista, Vanguard, Boardwalk, and Tomato Records, to name a few. He promoted The Police, Stevie Wonder, Whitney Houston, The Grateful Dead, Joan Jett, Barry Manilow, Philip Glass, Lionel Richie, Diana Ross, and many more. Transitioning into executive positions in the record label promotion and marketing worlds, David worked with and helped to break bands at RCA Records, Atco/East West Records, and Zoo Entertainment, where he worked with Bruce Hornsby, Love and Rockets, the Eurythmics, Kenny Rogers, Rick Astley, Hall & Oates, The Judds, Dirty Dancing, Simply Red, and many more. As Vice President of National Promotion at Zoo Entertainment, David set up strategies and assisted in launching the careers of Matthew Sweet and Tool. After running the sales team at CMJ (College Music Journal), David was recruited in 2003 by Vertis, a $1.8B pre-media and printing corporation. 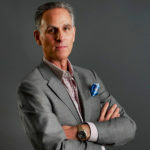 As Vice President of Entertainment Sales and Business Development, David hired and managed a team of 25 members in four locations for the SonyBMG Music Worldwide Entertainment account ($15.5M). He also secured upwards of $1M in additional business opportunities. David founded Reviver Records in 2011 and has since rolled the label under the Reviver Entertainment Group umbrella, encompassing the entities Reviver Publishing, Reviver Label Services, Reviver Records Productions, and Reviver Legacy, which includes upcoming releases from John Carter Cash, The Carter Family, and the legendary Johnny Cash.